If we look at the recent protests in Hungary in relation to the European and domestic economic crisis and to the government’s controversial actions on many fronts, we see a real 'gulyás soup' of mixed opinions. This includes sentiments like 'Hey Europe, sorry about our prime minister!' 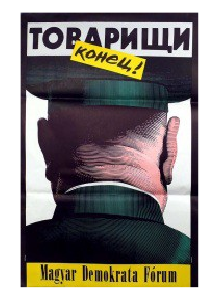 (Recently revised as 'Hey Armenia, sorry about our prime minister!') to 'EU-thanasia' and 'Be members or be free? EU NO'. 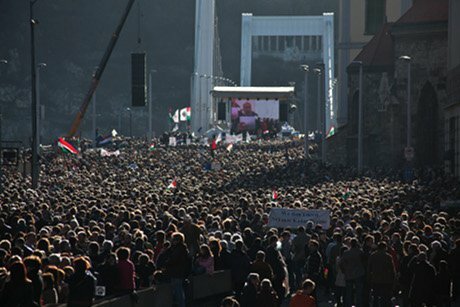 Hungary has always cultivated a kind of ‘exceptionalism’ in the region and this was evident in the pro-government demonstrations in January 2012. As some civil society groups call on Brussels to restrain what their national government is doing in specific areas, large public demonstrations were organized in support of the government in opposition to edicts from Brussels over Hungarian austerity measures. 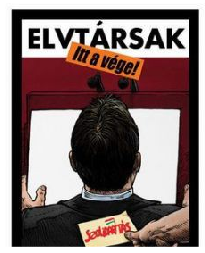 Many Hungarians feel victimized, or at least treated unjustly, by the criticism levelled at the country by the EU. The overall general opinion is that Brussels employs a double standard in its evaluation and recommendation procedures. Brussels is increasingly viewed as Germany-France, and the widespread acceptance of a German type of liberalism is a real concern for people in Hungary and other smaller states in Europe. Even if the criticism is valid, people see a double standard of evaluation, and hypocrisy considering older members are also experiencing a crisis of democracy at the national level. These sentiments are shared by other new member states who expressed at least sympathy, if not support, for the plight of Hungary at European Parliament debates. There is a shared expression of humiliation in the face of the IMF and the World Bank by Greece, parts of Italy, Portugal, Spain and others. So even if many Hungarians disapprove of the actions and the style of the Orbán government, many still feel victimized or treated as second class citizens by the EU. For years there have been protests focused around the economic issue of foreclosures, austerity measures and right-wing extremism, and some dramatic public demonstrations have been organized. Most of these actions, especially before 2010, were not covered by the international press. The major focus of most recent protests is on the erosion of democratic practices and the broken social contract. People are fed up with the disappearance of virtuous conduct and personal integrity from the political scene, leaving citizens with politicians and institutions in which they no longer trust. Societies are sensitive and respond eventually with righteous indignation, as we have seen in the Arab world. ‘Righteous IndigNation’ is a human immune system response to the social psychosis of human dignity under attack. Current protests, not just in Hungary, are asking on whose side the EU stands in the current power configuration – on the side of citizens demonstrating for greater economic justice, transparency and accountability, or on the side of the representatives and gatekeepers on behalf of global capital and finance? Some find strength in the community the EU offers: others argue for more independence from global financial markets and retreat into nationalism and national self-defense. This plurality of approaches is reflected in Hungary as well. Pro-government and opposition events on Hungarian National Day, March 2012. Demotix/David Ferenczy. All rights reserved. At least two attitudes can be observed in the current demonstrations: 1) those who are against the new government measures pertaining to the media law and new constitution and aim only to change the government and have a local focus on local issues, disconnected from more global movements; 2) there are groups that share the understanding of other groups globally in their critique of the IMF, global financial institutions and the wider critique of the political elite. A new public discourse and new public space may be emerging in Hungary as a result of these multiple crises. The concept of ‘space’ is very important in the Hungarian context. The idea of taking back the civic ‘space’ for citizens as an arena to interact and develop ideas is being experimented with in innovative ways. Retaking and occupying public space is a real battleground in Hungary, both physically and intellectually. The Hungarian situation has certainly provoked discussions of European values – what they are and how to protect them. The EU is often portrayed as a club that protects powerful financial interests at the expense of citizens. This is played out in the austerity demands of the EU and global financial institutions. Some of Prime Minister Orbán’s policies, like taxing and oversight of the banks, are widely approved both in Hungary and to an increasing degree in other EU countries; while the media law provokes outrage. Some view the singling out of Hungary as a deflection away from analysis of deeper problems at the European level. Some view Prime Minister Orbán’s new constitution and media law as deflections from the deep financial crisis in Hungary. With the lack of viable political opposition in Hungary, confrontation takes creative and alternative forms in the street demonstrations, which may appear, at first sight, schizophrenic – one week anti-government, pro-European, the next week pro-government, anti-EU – but there is a clear attempt to reorganize the debate around common issues of concern. 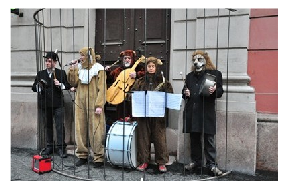 Besides flashmobs and solidarity actions with the homeless and hunger-striking journalists, actions like those for Saint Nicholas in December 2011 where ´presents` were delivered to the mayor of Budapest in protest to right-wing appointments to the new Hungarian theatre, were accompanied by an alternative theatre performance by the Blister Circus [Hólyagcirkusz] . Another unique example is when educators organized a ´last office hour` outside the parliament to protest changes to the educational bill and offered their services to advise parliamentarians. There are many other examples and different kinds of protest events continue to take place regularly. In a country that has experienced crisis in one form or another every year since the early ’80s, the reaction is not just to austerity measures, but to the remaking of the political, social and economic landscapes. A real problem and challenge for emerging civil groups like Hungarian Solidarity, Milla, 4K and others, is their incapacity to overcome fragmentation and competition over resources, including access to public space. Even though Hungarian protests lack common and articulated goals, they do agree on a surprising number of fronts about the way democracy should work and what their role and the role of government should be. One basis for understanding this is the corrosive influence of money on politics and the desire to have a voice in democratic policy-making at all levels. Calls for austerity measures (more taxation, spending cuts on social programmes) are decoupled from discussions of shared European values, but governance is beginning to be understood as what we can do together to provide the basic building blocks for the future. This shared understanding is emerging in a diverse milieu – from different economic and social sectors to groups with different political perspectives. 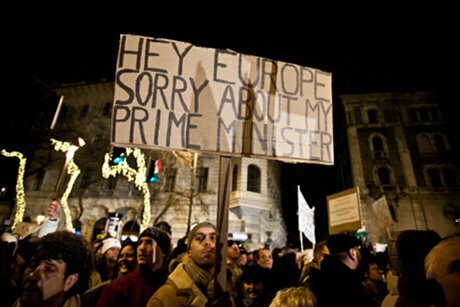 In many ways, partly because of its unfortunate experience of national leadership and weak democracy, growing corruption and subordination to the demands of global financial markets, Hungary was a forerunner of contemporary protests (from 2006 on); on the other hand, because of the fragmentation of society, social interests and a political culture prone to demonization, Hungary has further to go to construct strong social cohesion and connect to similar global and national movements. Like other burgeoning social movements, the momentum may change. What has begun may fall apart, it may cohere, it could morph into something totally different, or it could grow and become more cohesive, reaching out to other like-minded movements. An important factor may be not the number of protestors that take to the streets for a time, but the extent to which they are able to sustain their efforts over the long run. So far the movement, its tenacity and perseverance has been suprisingly strong, with a variety of innovative and sustained actions, including hacking into the constitutional court website and making creative and witty changes to the text of the controversial new constitution. Protesting in Hungary, as one observer remarked, is a thankless job. This is related to the waves of right-wing protests during the previous government which colored protest activities as ’shameful’, on the one hand, and is also influenced by the notion in the political culture that it is more important who you stand with than what you stand for. Attitudes are changing, however. When a demonstrator was asked why they had joined one of the street actions, they answered that although the impact of the protests was uncertain, it was important to make sure that the current measures undertaken by the government enter the history books with the note ‘citizens protested against it’. Many people think that the country is going in the wrong direction and most people support the EU and believe that the government is experimenting with ‘opportunistic nationalism’. In the name of security, the government is practising fear-mongering, with the EU depicted as an imperialist power. This conflict between the public’s primarily positive view of the EU with the government’s recalcitrance also increases public distrust in the institutions of democracy. Crises have many times advanced the process of integration in the EU. The question today is whether the present crisis can be exploited to continue the European project. Europe is more than the EU and consists of many other institutionalized and non-institutionalized, civil forms of communication, cooperation and collaboration in which Hungary is solidly embedded. The emergence of polarizing and populist movements in a significant number of European countries poses alarming challenges for a future, unified Europe and maybe, it has been noted, Hungary is in the vanguard of the rearguard in this respect. It is clear from the present confrontation of populist-nationalists in Hungary and the EU that without proper communication channels, solutions will not be found. This may provide a new opportunity and space for civil movements, for subterranean politics – joined to other, similar forces throughout Europe – to fill the vacuum. It is evident that the vanguard/rearguard actions of the current Hungarian government have struck a particular chord both nationally and at the European level, provoking a variety of responses, positive and negative, and moving the discourse on Europe in new directions. It will take time before real solidarity emerges among the various groups in Hungary and with Hungary and others, but there is certainly an inclination and gathering momentum. This is dominated by new social networks, networked resistance and savvy young activists who have no lack of innovative techniques and approaches to addressing contemporary political, economic and social problems. Perhaps the first, real post-1989 generation is finally emerging to reinvent politics, democracy, governance and activism in response to the failures of the past 20 years.